HERE ARE THE BEST TIPS to ensure you get the most out of your next buddy trip, with a little something extra off the tee for some. 9. R&D MAKES FOR THE BEST R&R It’s not how long you to plan, it’s how well you plan. If your dates are flexible, ask about specials. Many golf resorts have “shoulder seasons” such as March or November when the weather might still be great but high season rates haven’t yet kicked in. And sure, you might need an extra layer, but that extra layer might mean an extra day – and an extra 18 or 36 – as well. 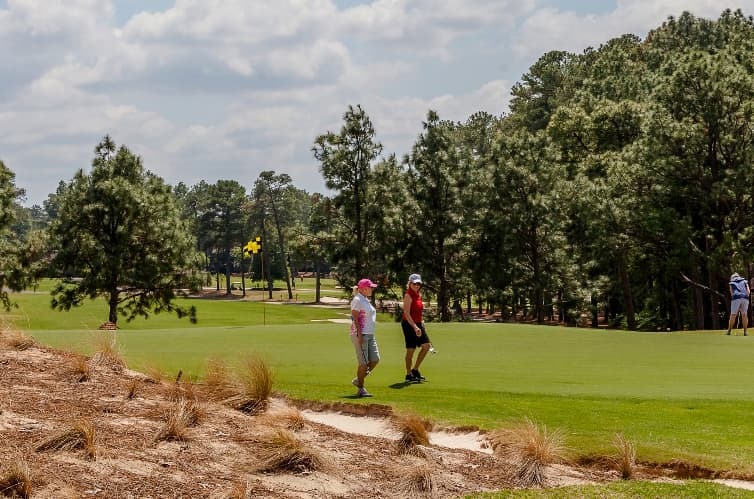 To plan your Pinehurst Buddy Trip, call (800) ITS-GOLF or begin with an email. 7. THE THROWAWAY ROUND Too much competition might lead to some frayed nerves…and tempers. Make sure to incorporate a noncompetitive round in your trip – something just for fun where scores don’t matter. Just want to get in 9, or 14? Fine. Mulligans? Sure, just don’t hold up play. Have fun, play fast. Golf is a game, after all. Enjoy it. Extra Club: Um, duh. 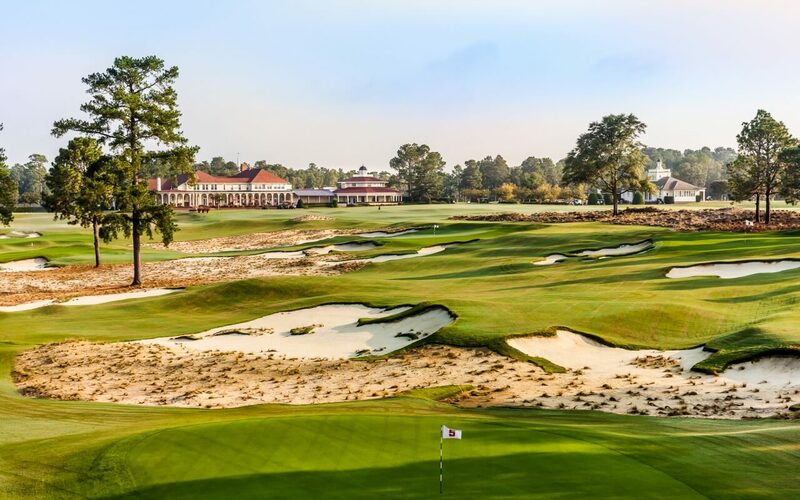 Try The Cradle at Pinehurst, our new 789-yard short course. All kinds of games are at your fingertips (like these), and heck, there’s a chance your entire group might even get to play together. 4. TAKE A BREAK Yes, you are there to golf. But don’t be so blind that you miss the culture, too. Why go to Ireland or Scotland and not experience what the actual country – outside of the country club – has to offer? Time off from competition helps recharge the batteries, not to mention the sore muscles and egos. Speaking of sore muscles, try the resort’s spa (View our Gentlemen’s Menu here). A treatment could go a long way, and many resorts offer spa discounts – especially midweek.